Spring season continued in the Public School’s Athletic League Cricket with unbeaten John Adams hosting rivals Hillcrest. Visitors Hillcrest won the toss and inserted the Spartans to take first strike. The encounter began with much intensity as the Spartan openers pressed quick singles. Hillcrest were also playing to the crescendo as Spartans lost their first wicket via the run out route after just six (6) deliveries. There was a tempered pace to the proceeding with neither the batting side of the fielding looking to grasp a firm initiative. Skipper Jason Rodney struck, as Mervin Heywood was caught at Mid-off by Syed Farkruzzaman. Deryck Narine looked to lead his side as he had done this season as he struck four boundaries. Narine looked fluent aiming for a possible thrid century on the season. Hasib Imrul scalped the Spartan captain as he let one through the gates, Narine (27) bowled. It was one-way traffic from there on as John Adams folded for a paltry 56 in 14.1 overs. Hasib Imrul leading Hillcrest with four wickets and Farkruzzaman two. This entry was posted in Baisley Pond South, Dyon Ravello, Match Day, Public School Athletic League, School Cricket, Standings, Youth Cricket and tagged Aviation H.S. 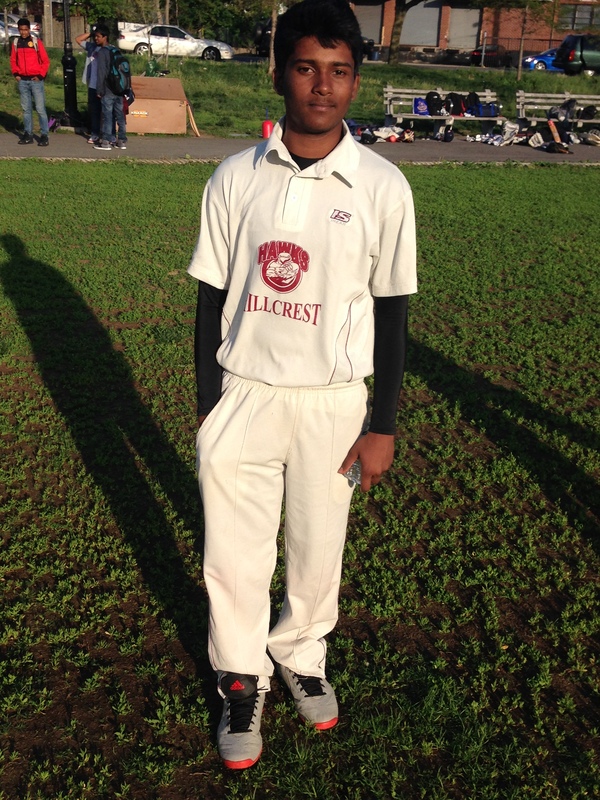 Cricket, DEWITT CLINTON H.S. Cricket, Hasib Imrul, Hillcrest H.S. Cricket, John Adams Spartan Cricket, Nicholas Harriepersaud. Bookmark the permalink.